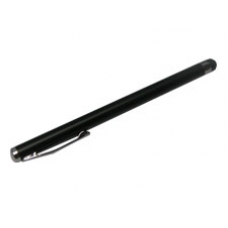 If you are fed up of constantly getting finger marks on the touchscreen of your iPod Touch, then this styli is ideal for you. The iPod Touch styli is specially designed for use with a capacitive touch screen, such as the screen on an iPhone 3G or an iPhone, allowing you to save time when typing out an e-mail, note or website. * Soft and Durable Rubber Tip. * Faster typing than with your fingers. * Excellent for use with gloves. * Provides typing comfort, accuracy and efficiency. * Gaming, Sliding and Double Tap Zoom are possible.